I remember a rather surprising number of years ago, when I was a young adult and first became interested in my family origins. It may have been shortly after my mother's parents had passed away. One day, my mother showed me a document of many pages that had been written on the history of my grandfather's family. At the time, it didn't seem to me to be a very scholarly work because there were no references made to contributing materials. To me, it almost read like a story that could have easily been fabricated. According to the work, the family had Scottish origins and their name had been changed from the original name of MacLaughn. Years later, when I had the opportunity to go to Scotland, and knowing that almost all Scottish last names have an associated tartan, I was going through a catalog of them and couldn't find any mention of the name MacLaughn. The experience made me even more doubtful. Fast forward several years when I started to become interested in my father's side of the family. I don't remember exactly when or why. I had at some point, learned from my parents that my aunt on that side of the family had been doing some family genealogy. I remember strolling through Windmill Island with the family and coming across a map of the Netherlands. Growing up in a town that began as a Dutch immigrant settlement I had never doubted that my father's family was Dutch. I had read, or had had read to me, the story of Hans Brinker and the silver skates. Of course in the story, Hans is definitely from Holland in the old country and his name is not too different from Brink. I mean, after all, everyone from Holland, Michigan was obviously of Dutch origin weren't they. I believe almost all of my friends were. There were also Ten Brinks and Van den Brinks. But that day at Windmill Island is when I remember discovering that the Brinks were in fact from Germany - albeit from a town just across the border from the Netherlands called Nordhorn. I was somewhat intrigued by this because I had studied the German language, worked for a Germany company, and lived in or was living at the time in Germany. Shortly after I forgot the name of the town, and didn't develop a real interest in the subject until my aunt passed away. I became concerned that the work she had done to trace the family history might become lost. So I wrote a letter to my uncle at the end of last Summer, asking him to send me any information he could. He ended up speaking to my mother and out of these exchanges came the first information about my ancestors in Germany. One question which was developing in my mind was whether my ancestor who immigrated to the US did so for religious or economic reasons. I vaguely knew the story of the first immigrants who established Holland, Michigan as a Dutch colony, primarily in seeking religious freedom. I knew less of those who came after having more worldly needs. About the same time, I started to do a little research of my own and discovered a book that had been written in German about the immigrants from Nordhorn and the surrounding lands who had come to West Michigan. I was able to purchase a copy. I also ran across a book with a similar theme but written in English. The two books were related by a common co-author by the name of Swenna Harger, a resident of Holland, Michigan. As it turns out, my aunt had also visited Mrs. Harger in her search for information on the Brink genealogy. Furthermore, I contacted the Church in Nordhorn to see if they could provide me any information on the births and deaths of the Brinks. All of these efforts contributed to my developing understanding of this branch of my family tree. The German book I obtained had references to the same persons described by my uncle, and the Church in Nordhorn was also able to confirm the same information while providing a valuable clue to my ancestor's occupation. They were described as "landbouwer", which I interpret as peasants. 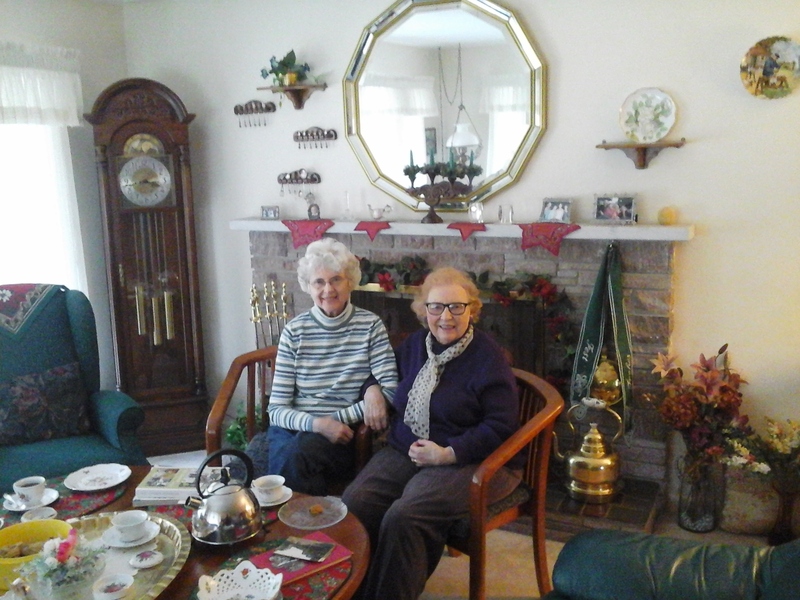 In December I was back in Holland and had the opportunity to meet Mrs. Harger with my Mother. I wanted to know why my ancestors had immigrated. Was it for religious, or economic reasons? Or even for seeking adventure? Well I learned quite a lot from Mrs. Harger, and the book she had co-authored and which I was able to obtain from her, to give me some ideas about the reason.